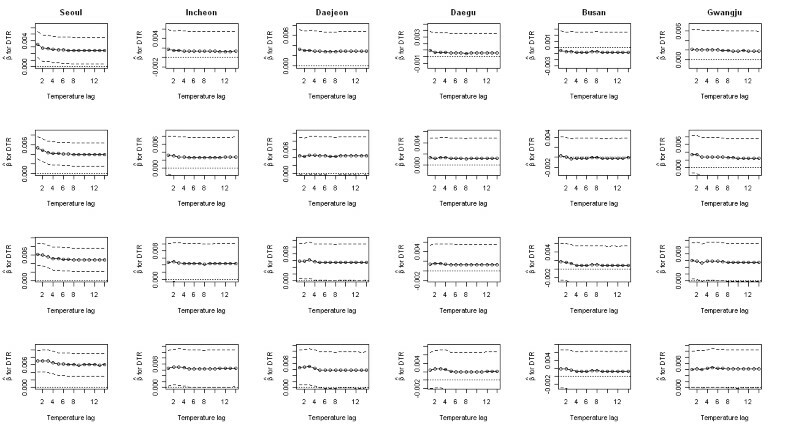 Rapid temperature changes within a single day may be critical for populations vulnerable to thermal stress who have difficulty adjusting themselves behaviorally and physiologically. 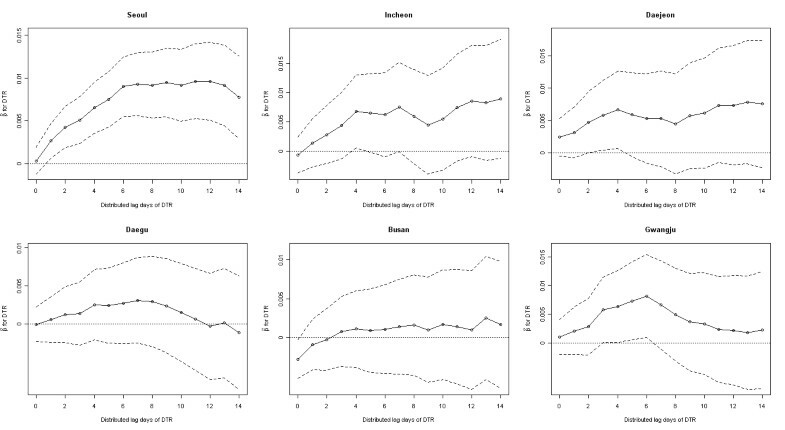 We hypothesized that diurnal temperature range (DTR) is associated with mortality, and that this association is modified by season and socioeconomic status (SES). 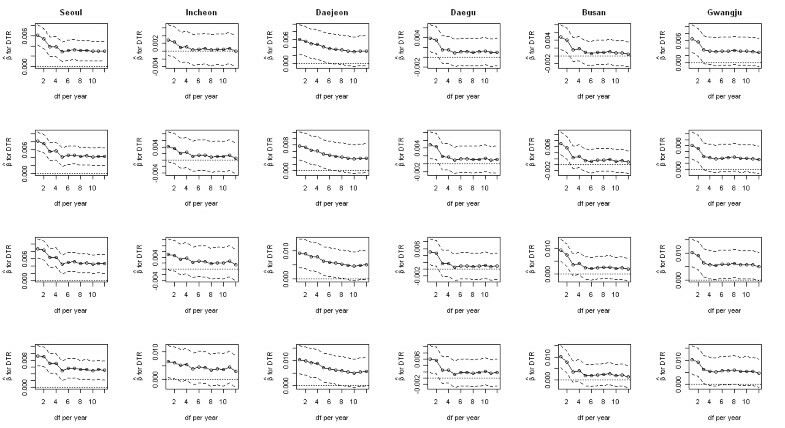 We evaluated meteorological and mortality data from six metropolitan areas in Korea from 1992 to 2007. 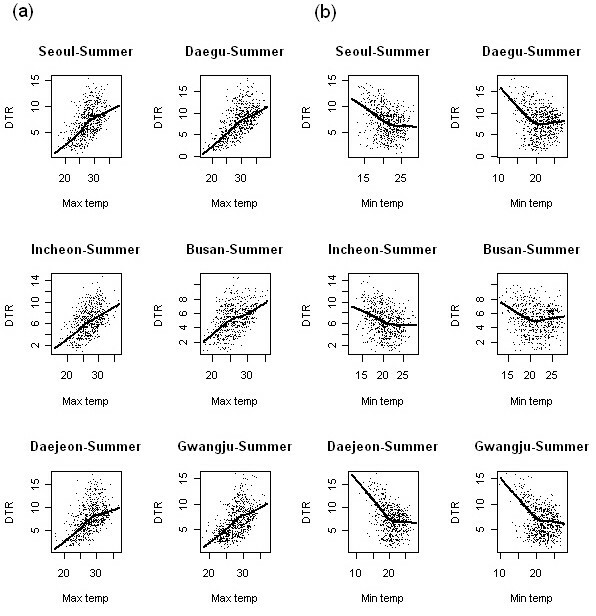 We applied generalized linear models (GLM) for quantifying the estimated effects of DTR on mortality after adjusting for mean temperature, dew point temperature, day of the week, and seasonal and long-term trends. 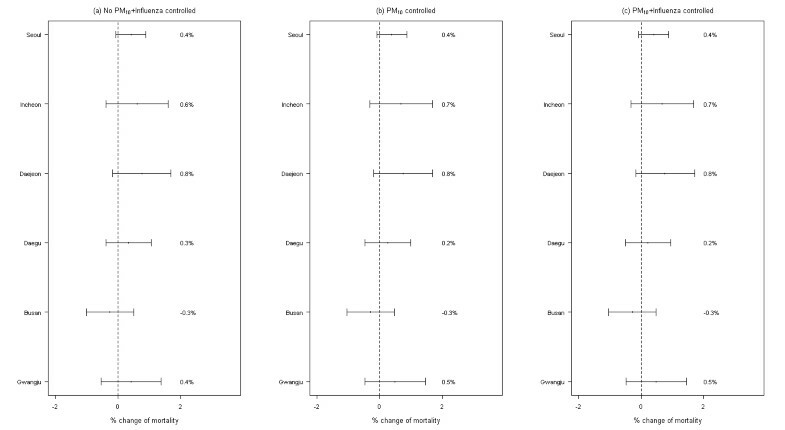 Most areas showed a linear DTR–mortality relationship, with evidence of increasing mortality with increasing DTR. Deaths among the elderly (75 years or older), females, the less educated, and the non-hospital population were associated more strongly with DTR than with the corresponding categories. DTR was the greatest threat to vulnerable study populations, with greater influence in the fall season. DTR was found to be a predictor of mortality, and this relationship was modified by season and SES. The online version of this article (doi: 10.1007/s00484-010-0395-0) contains supplementary material, which is available to authorized users. 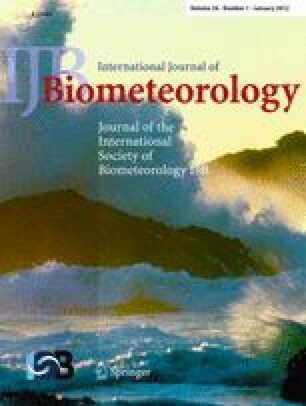 The authors thank the Korea National Statistics Office (KNSO), the Korean Meteorological Administration (KMA), and the Research Institute of Public Health and Environment for the use of their data. The work was supported by Basic Science Research Program (#2010-0009581) and Global Research Lab (#K21004000001-10A0500-00710) through the National Research Foundation of Korea (NRF) funded by the Ministry of Education, Science and Technology.